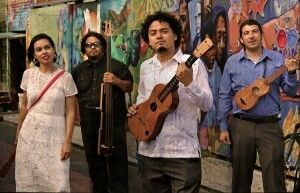 Cambalache, meaning exchange, is a Chicano-Jarocho group based in East Los Angeles. 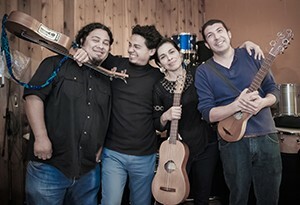 Founded in 2007 and led by César Castro (sonero, maestro and luthier from Veracruz, Mexico), Cambalache plays and promotes traditional son jarocho through performance, music workshops, and educational demonstrations. 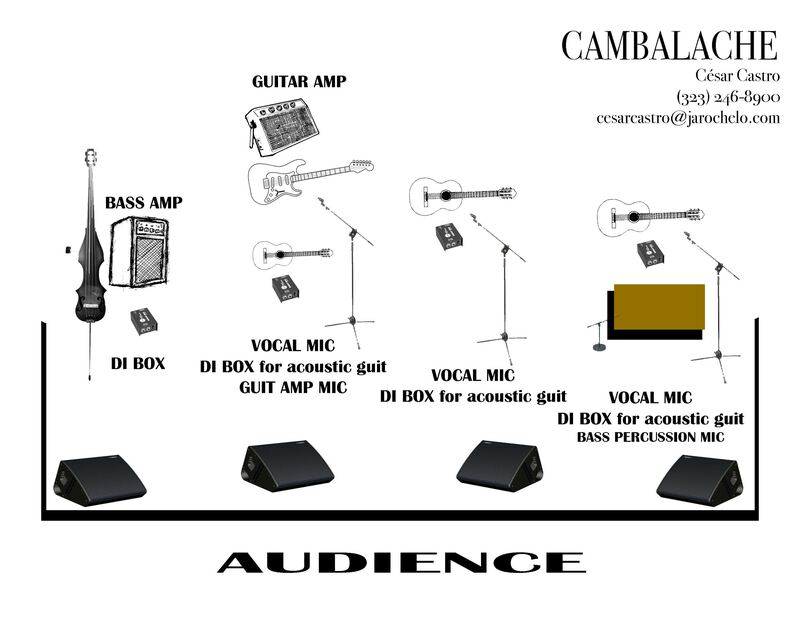 In the spirit of the fandango, a traditional celebration of music and dance, Cambalache engages its audience through participatory performances. In 2010, Cambalache organized an important fundraiser for victims of Hurricane Karl in Veracruz, thus strengthening decades of social and cultural exchange of the Chicano-Jarocho network. Cambalache’s educational mission involves demonstrations from elementary school to universities, museums and music festivals. César Castro, a uniquely well-rounded sonero, maestro and luthier (instrument maker) from Veracruz, México. Castro began studying son jarocho at the age of 13 with renowned harpist, Andrés Alfonso Vergara in Veracruz. Soon thereafter, he proceeded to study with Gilberto Gutiérrez and was invited to formally join Grupo Mono Blanco, the corner stone group of El Movimiento Jaranero, at the age of 15. With Gutiérrez and Mono Blanco, Castro’s education was not limited to the music. It was his mentorship with Gutiérrez that rounded out his education in instrument making and teaching pedagogy. However, as a musical participant, Castro learned the great importance of sharing a tradition, community engagement, and creating active citizenry through the son jarocho and fandango. To date, Castro is the only Jarocho sonero residing in the U.S. who teaches the music and tradition in formal and casual settings, traditional luthier, and performer. He is a valuable culture bearer and asset to the Chicano-Jarocho family he has helped build over the last twelve years. He has participated in groups like Quetzal, Ozomatli, Son de Madera, Dan Zane and Zocalo Zue (which was a son jarocho and son cubano hybrid). Xochi Flores began studying son jarocho in 2001 under the auspices of Maestro Cesar Castro, and teachers Quetzal Flores and Russell Rodriguez in Los Angeles, SHe is co founder of fandango sin fronteras, the bi national dialogue between Jarochos in Veracruz and Chicanos in Los Angeles. She has played with other groups in Los Angeles, like Candela, Las No Que No and has collaborated on projects with Ozomatli and Quetzal, Laura Rebolloso and Entre Mujeres. Juan Perez is the Chicano bass player who has played with every band in LA from Los Lobos, Ozomatli Quetzal and now with Cambalache. Juan has studied bass for over 25 years and is considered the US most knowledgeable bass player in the son jarocho and Chicano music genres. He was also named one of Boyle Heights Community Treasures by the Alliance for California Traditional Arts. Chuy Sandoval studied classical guitar in college and upon his graduation bagan studying jarana and son jarocho with maestro Cesar Castro. Three years into his apprenticeship, Chuy was integrated into Cambalache and has since been one of LA’s best jaraneros. Chuy also teaches jarana now at local community centers in Los ANgeles and the San Fernando Valley. Riot Artist APAP Showcases! ‪Looks like APAP is nearly upon us again! As in past years, we once again have some wonderful artists showcasing for you this year: DakhaBrakha, Emel Mathlouthi, Maarja Nuut, and Cambalache! Please join us on Saturday evening at the New York Hilton Midtown and on Monday night at the Brooklyn Bowl! 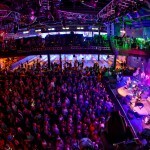 Monday night APAP 2016 showcase at Brooklyn Bowl In addition to our annual Saturday Hilton showcases, we are proud to announce our Monday night 2016 APAP Showcase at Brooklyn Bowl! 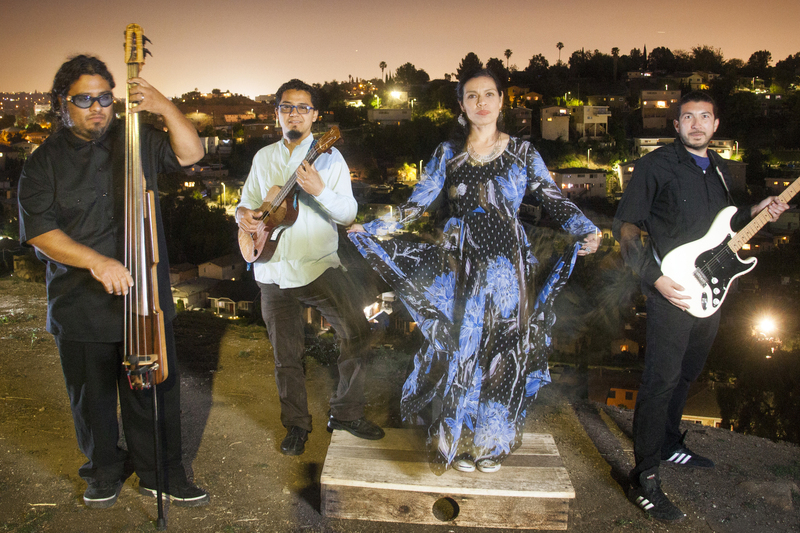 Join us, Cambalache, Emel Mathlouthi, Maarja Nuut, DakhaBrakha, and The Battle of Santiago on Monday Jan 18, 2016. Doors open at 6pm. Show starts 7pm. Free w/ APAP badge. Dinner available.